DUCT ENGINEERING (Luton) Ltd have been established for around 40 years. At conception, Duct Engineering was the UK based factory manufacturing Honeywell Controls dampers and fire dampers. 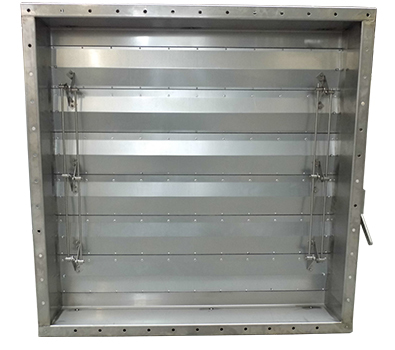 We have drawn on the established Honeywell designed dampers and added new products to our range. We are a small enough company to maintain exceptional customer service and our attention to detail is second to none. This is key to our wide and varied customer base, as we are able to manufacture a more specific product to suit each customer's individual requirements. Our market place includes AHU manufacturers, major car manufacturers both in the UK and international, offshore and marine, generator container manufacturers as well as the food, textile and ceramics industry. Thermoplant Ltd, HVAC & Refrigeration Engineering Ltd, Hertel Technical Services, Genex Ltd & Newmech Services Ltd.